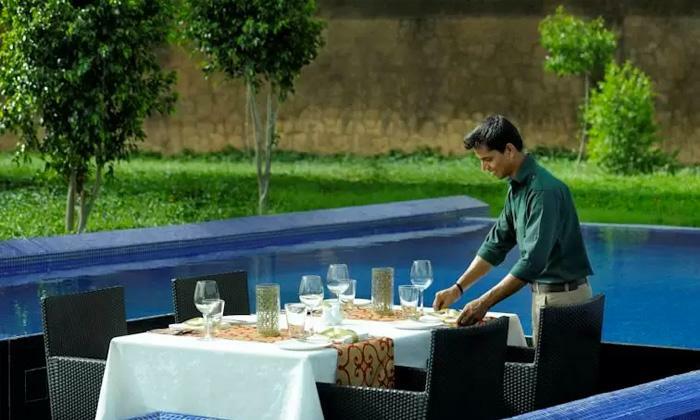 Sunken Poolside is located within the premises of Lebua Lodge and is known to serve a delectable variety of North Indian, Continental and Rajasthani food-fare. Enjoy the lavish spreads of tempting delicacies and pamper your tummy as well as your tastebuds. The beautifully view of this restaurant gives you a refreshing feeling while the skilled chefs strive to prepare fresh and delicious dishes. The staff is cordial in their approach and warm in it's service.